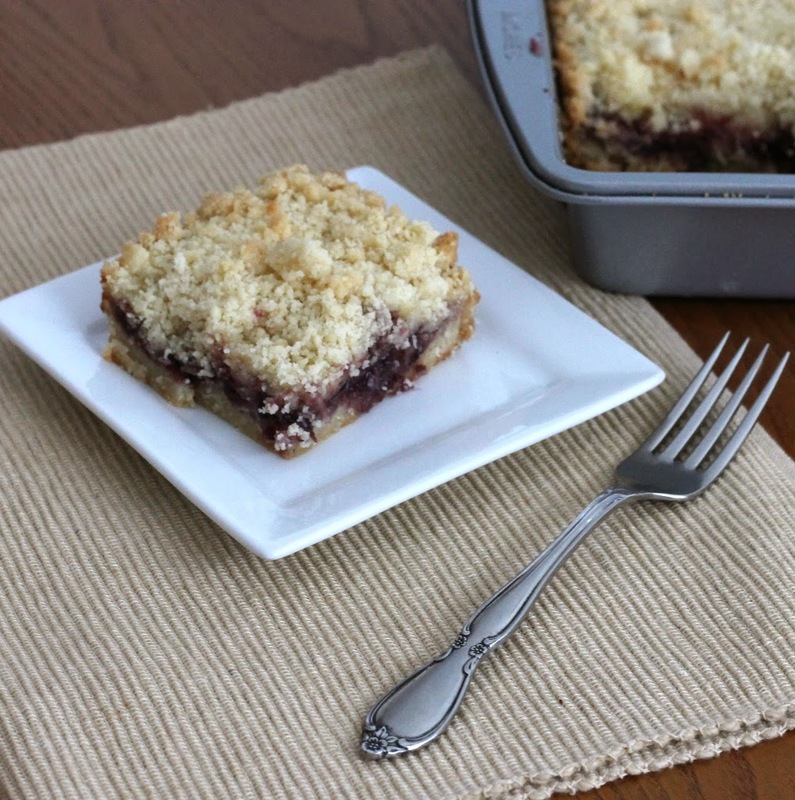 Blackberry Jam and Cream Cheese Shortbread Bars… so yummy! Do you ever have a week where you wish that it would get over as quickly as possible? I am having one of those weeks… hopefully next week will go better. So this post will be short, but a sweet one. 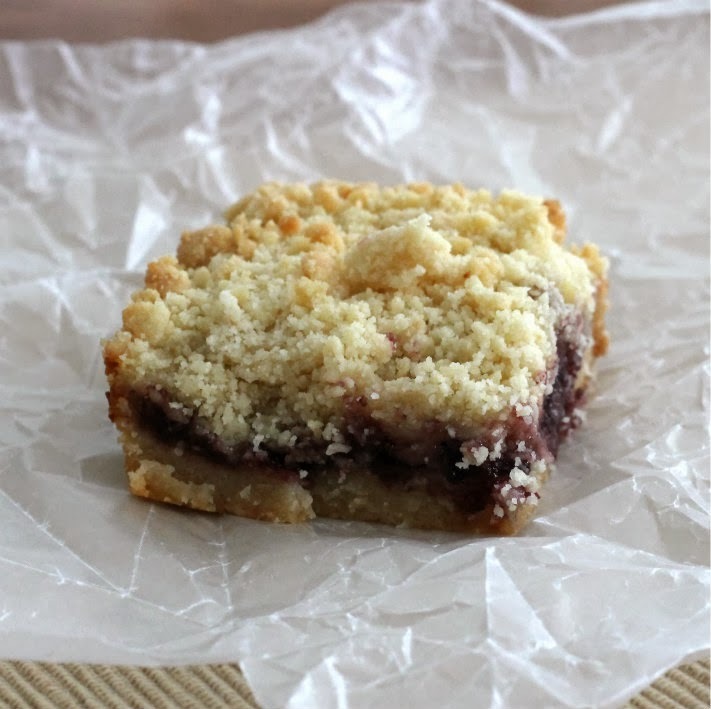 I love shortbread cookies or bars… add a little jam and cream cheese filling and you have one yummy dessert. Use your favorite flavor of jam or you can go the route I took and use blackberry. 2. Combine butter, sugar, powder sugar, and vanilla until smooth. On low speed, add the flour one half cup at a time until the dough forms. 3. Grease an 8×8 pan and press 3/4 of the dough evenly into the pan. Set the rest of the dough aside. 4. Bake at 325 degrees F for about15 minutes or until edges are lightly browned. 5. While the crust is baking make the cream cheese filling. Add the softened cream cheese to a medium bowl and beat with an electric mixer, add the sugar, egg, and vanilla until smooth. Set aside. 6. Remove the pan from the oven after the first round of baking and spread the jam over the crust, on top of the jam spread the cream cheese filling. 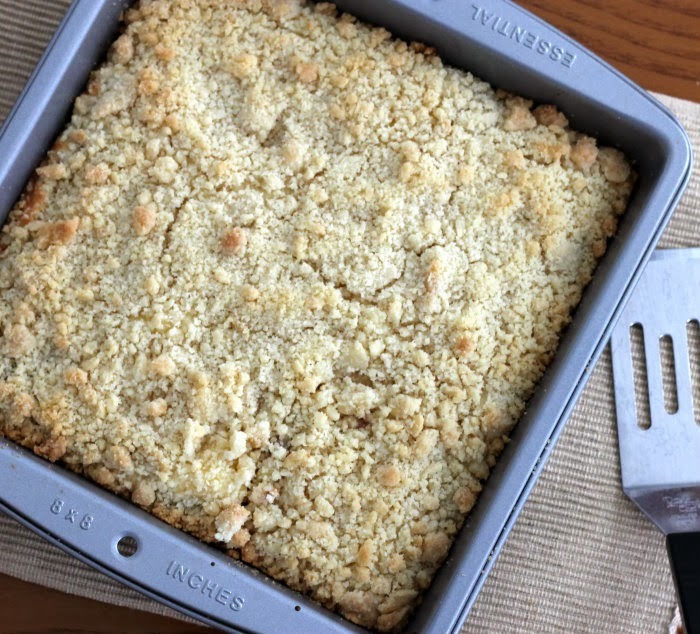 Crumble the remaining dough over the top of the cream cheese. 7. Place back into the oven and bake for another 30 to 35 minutes until the bars are lightly browned and the center is set. Fingers crossed to a happier end to the week! And in any case, hopefully these bars will cheer you up. Big yum! I can’t believe this but I just bought blackberry jam last week. Now I have something to use it for besides my son’s sandwiches, and I love the addition of cream cheese.